It definitely goes without saying that pets indeed have their own way of giving joy to their owners. Apart from keeping your company, they can actually give you comfort as well. Therefore, after a long day at work, it can really light up your face when you are welcomed by your pet right at the doorstep when you arrive home! However, although you can expect some pleasant things from owning a pet, there are also some things that you have to be prepared of. One of which is the inevitable presence of pet hair in your furniture and in almost every area of your home. The thing is it is not really a good idea to let it accumulate over time as this can cause allergies or make your house look dirty. It is important that you are able to remove pet hair thoroughly. This can be done properly by using a highly functional vacuum cleaner. That is why to try to search for a vacuum cleaner that can truly help you get rid of pet hair. Read on to know about the various factors that you should think about prior to getting a vacuum. The size of the unit will depend on the size of the area where you plan to use the vacuum for. If you only have a small home, you do not have to use a large vacuum. What you will certainly need is just a small-sized unit that can clean all areas of your home well. It does not cost much to run it, plus it is easy to move from one place to another as it is not heavy at all. The weight of vacuum cleaners varies between 5 lbs and 20 lbs. There are lightweight models and heavyweight ones. The rule of thumb is for you to select the weight that you can handle. If it is heavy for you, then cleaning becomes burdensome. That is why to try to compare the weight of several models before making your best choice. When it comes to cost, you should keep in mind that there is always a vacuum that is suitable to your budget. However, don’t be misled into thinking that all high-cost vacuums work best. It is possible that one vacuum may cost a great deal primarily because of its cool design but does not really do well in terms of its performance. Therefore, choose a vacuum that is reasonably priced for its quality. 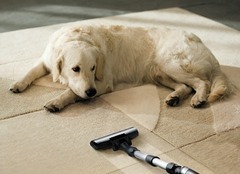 If you are using a vacuum for removing pet hair, never dismiss the value of having a quality filter. If you or any of your family member has a respiratory-related condition, it is best to get an HEPA-approved vacuum, which confirms that you have a 99.97 percent allergen-free home after cleaning your home using such type of vacuum. There is no doubt that you want to get a value-for-your-money vacuum that can work very well in keeping your entire home clean and free of pet hair. You have to see to it that the suction is functioning well all the time. The thing is whatever type of vacuum you pick, it should always be able to serve its purpose well. It should also come with the right tools that you exactly need so that you can get the most out of using it. For instance, if your house and interior décor are mostly made of wood, then you must consider a vacuum which has a “dusting tool” that is primarily designed to work on wood materials. Vacuum cleaners vary not only in terms of their features and designs but also in terms of their sound levels. Some vacuums have a high sound level while others have a very low sound level. If any member of your family is quite sensitive to noise, you will most likely opt for a vacuum with a very low sound level. Not all types and designs of vacuums may be suitable for you. Actually, there are some that you may find very difficult to use while there are others that you may find quite convenient to use. You must be able to choose a vacuum that has an ergonomic design as it is especially created in such a way that the user will find it more comfortable and convenient to utilize than any other vacuum type. Moreover, you should decide early on if you prefer a cordless unit or a corded one. If you find it difficult to move quickly from one place to another using a corded unit and think using a cordless unit makes you work more efficiently, then you should get a cordless unit.